No horses here, only us normal human people! Mr. 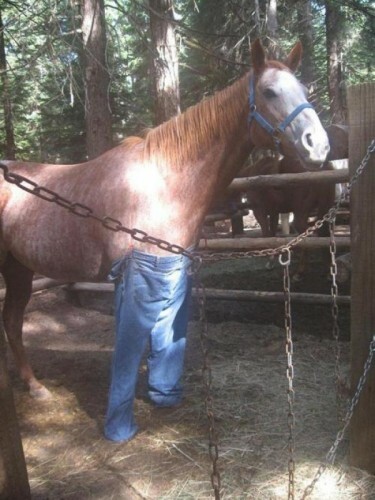 Horse, how do you feel about wearing those pants?